Talk to a Kirkland divorce lawyer today. With so many factors depending on the well-being of you and your family, it is important to chose an experience Kirkland divorce attorney that can help achieve your goals. During the divorce process, you will need to make choices concerning important issues such spousal maintenance, child custody, child support and visitation, property division, as well as other family laws areas that may pertain to your unique situation. At the law offices of Jason S. Newcombe, our Kirkland divorce attorneys will help you make the important decisions that will shape the future of your family and children for years to come. 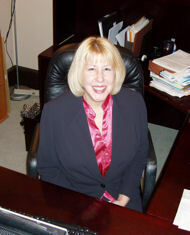 Let our compassionate team of knowledgeable Kirkland divorce attorneys go to work for you. 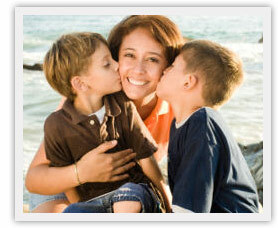 Why select an experienced Kirkland divorce lawyer from our team to assist in your family law issues? We will aggressively protect your legal rights. Our legal team will maintain a level of open communication to answer all of your questions. We will educate you on the different types of divorce you and your family may benefit from. We will use our effective negotiation skills to help you and your spouse come to an agreement and stay out of court. Your case will receive the personal attention it deserves. In your divorce situation, your goals will become our objectives, and our Kirkland divorce attorneys will do everything we legally can to help you reach your desired outcome. We understand that this is a heightened emotional time for everyone, and that you want to get your divorce behind you as quickly as possible so that you and your family can move on with your lives. We will sit down with you and carefully listen to what you want to achieve by hiring us as your divorce and family law issue representatives. Our experienced Kirkland divorce attorneys will be in your corner every step of the way. Whether it’s negotiating for child support, child visitation, or you need spousal maintenance, our compassionate Kirkland divorce lawyers will be in your corner every step of the way. Not only will we be your legal advocates during the divorce process, but we will also provide you with the resources and support you need afterwards. For instance, it’s not uncommon for a spouse to alter lifestyle and plans after a divorce. You may need to make certain modifications to agreements that were made whether it involves a parenting plan, child custody order, child support or other family law related issues. Our Kirkland divorce lawyers are here to help. 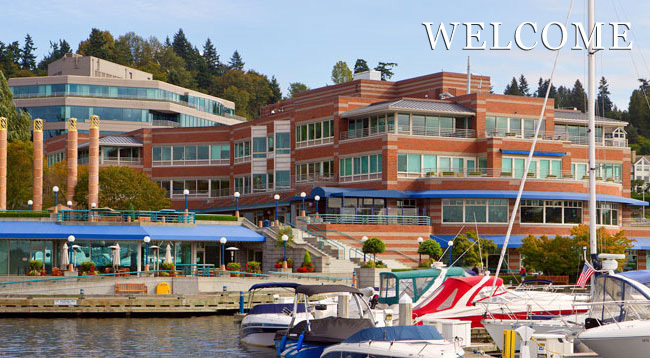 Our Kirkland divorce lawyers are skilled in all areas of family law. Whatever your unique case may involve, we will create a plan that will help you achieve your desired outcome. Do you want to file for a divorce, modify a parenting plan, or want to know more about your family law rights? We will also educate you on other more cost-effective divorce alternatives such as mediation, as well collaborative divorce or an uncontested divorce. Depending on your unique situation and goals, our skilled Kirkland divorce lawyers can help you tailor a plan to your specific needs. Schedule a free initial consultation with one of our skilled Kirkland divorce lawyers today. Helping you stay out of court during your divorce. As your experienced Kirkland divorce lawyer, our goal is to help you stay out of court. You, of course, know your family more that an outsider would, and it is often in the best interest of your family for you and your spouse to come to an agreement without court involvement. We can empathize that it is difficult to sit down together and discuss marriage details with a lawyer, but with the guidance of a Kirkland divorce attorney from our team, you and your spouse will most likely come to agreed terms that your whole family will benefit from. If by chance the both of you cannot reach an amicable agreement however; then it may be necessary to go to court and have the judge assist in a decision regarding your family. In this situation, our Kirkland divorce lawyers will prepare you for what to expect, and will aggressively fight to protect you and your family. We are intimately familiar with the types of family law cases that will be dismissed, and what type of cases hold weight in court. Our team of Kirkland divorce lawyers will aggressively fight for your legal rights! While our attorneys care about your needs and are compassionate, we are also aggressive and results-oriented as well. We will use our effective negotiation skills to achieve the desired outcome that you and your spouse will both be satisfied with. However, we also understand that a mutual agreement is not always possible, and in these types of situations, you can rest easy knowing that your rights will be protected and fought for by our team of experienced Kirkland lawyers. Schedule a free initial consultation with one of our Kirkland divorce attorneys today! We understand that you need guidance and support through your divorce. Don’t be afraid to contact one of our experienced divorce attorneys today to help you through this difficult time for you and your family. With a free initial consultation, you can sit down and let us know your goals so that you can begin the process of moving forward with your life and into a brighter, better future.